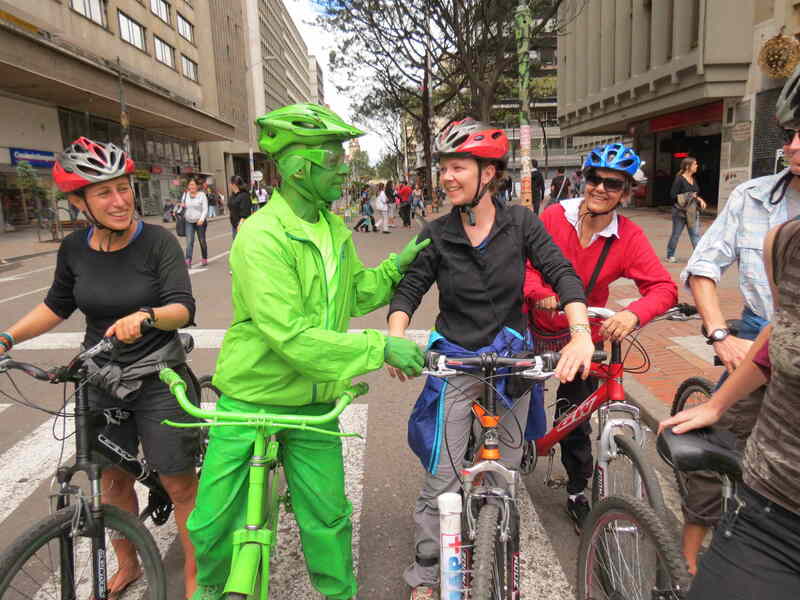 Environmental activist Greenman with friends. 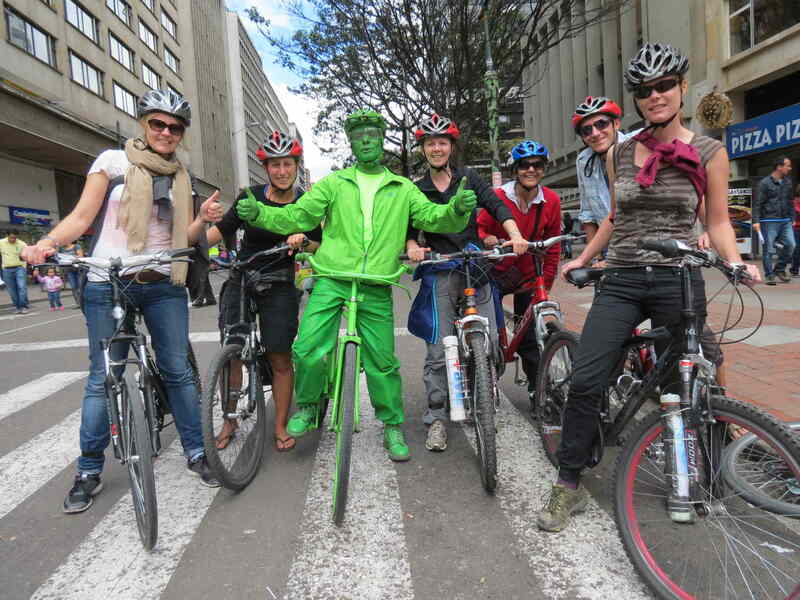 During out bike tours, we often meet interesting local characters, and one of the most unique has to be Greenman, whom we talked to the other day on Ave. Septima. He’s an artist and environemental activist who rides around on his simple old bike dressed and painted green! This entry was posted in Uncategorized and tagged Bogota, colombia, cycling, environment, tourism. Bookmark the permalink.